When you are visiting London, you are one of some 19 million people who visit the city every year, and all of you have one thing in common: for the duration of your visit you need somewhere to stay. Of course, many people who come to London stay in one of the very many hotels that abound, but there is an alternative of which some people are not aware, and that is serviced apartments in London in Mayfair. Carlton Court is a building in Down Street just a minute’s walk from Piccadilly and comprises five separate apartments that can sleep from two to six people. One of the big advantages of these apartments compared with a hotel bedroom is that you get so much more space. In a hotel room you have – well – a hotel room, and that’s it. In Carlton Court you have your bedroom, or two or three bedrooms, with either ensuite or separate bathroom, a luxuriously furnished reception/sitting room, and a fully fitted state-of-the-art kitchen including a washing machine and dryer, along with a dishwasher. The apartments come with a 24-hour concierge and security service, and they have the latest Sky HD TV’s in every room with somewhere around 2,000 channels in many different languages. You also have high speed broadband, underfloor heating for the winter, and air conditioning in the summer. The housekeeping and maid service is in operation every day of the week, and our staff speak many different languages including Japanese, French, Arabic, and Russian. 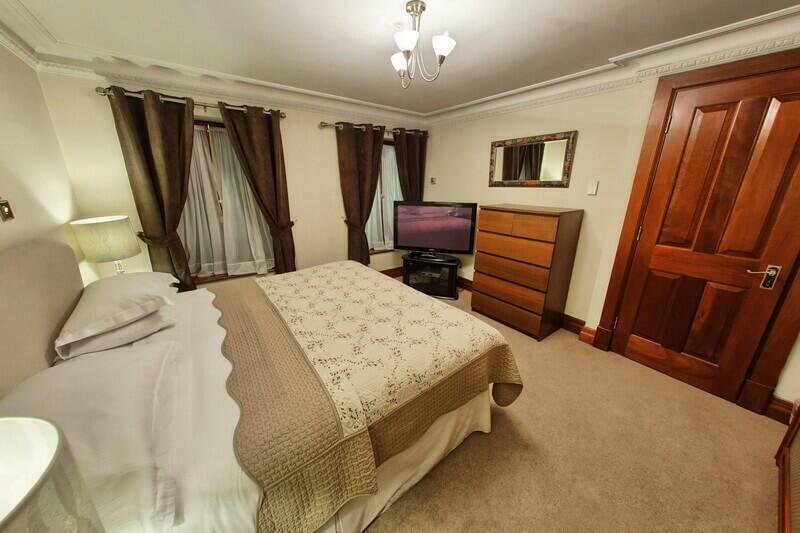 Each apartment has king sized beds, power showers, plenty of cupboard space, a music system, and an iPad/iPod dock. You are even provided with a safe for your valuables which is given your own personal code. Carlton Court is within a few minutes’ walk of the finest shopping in London, with Oxford Street where you have Selfridges and John Lewis among many other famous stores, Harrods of Knightsbridge, the famous Hamley’s of Regent Street with five floors of kids toys, Sotheby’s auction house in Bond Street, and many more stores, all on your doorstep. If you want to go for a walk in the park, Hyde Park and Green Park are also just a few minutes away, and Carlton Court is surrounded by streets full of the country’s finest restaurants.